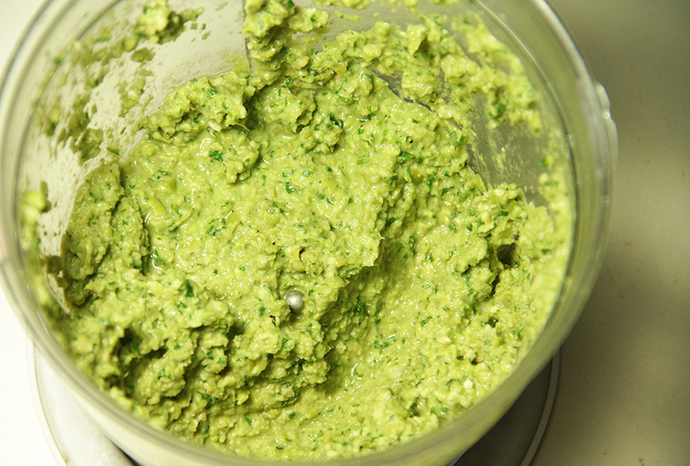 This pesto is full of flavour and, best of all, it's dairy free as it contains no cheese. 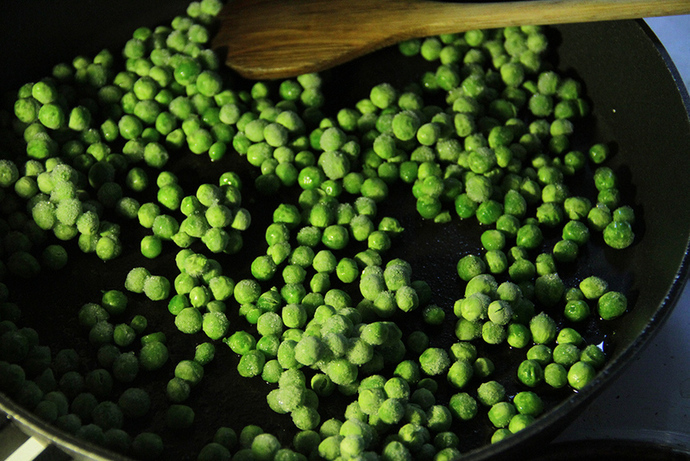 It's healthy and a great way to use up peas lying about in the freezer. It will keep in the fridge for up to 5 days. 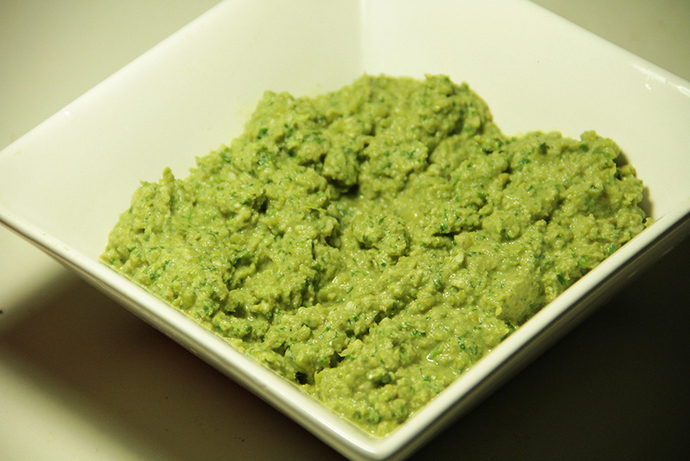 As with any pesto, this makes a lovely dip, sandwich spread or a pasta sauce. 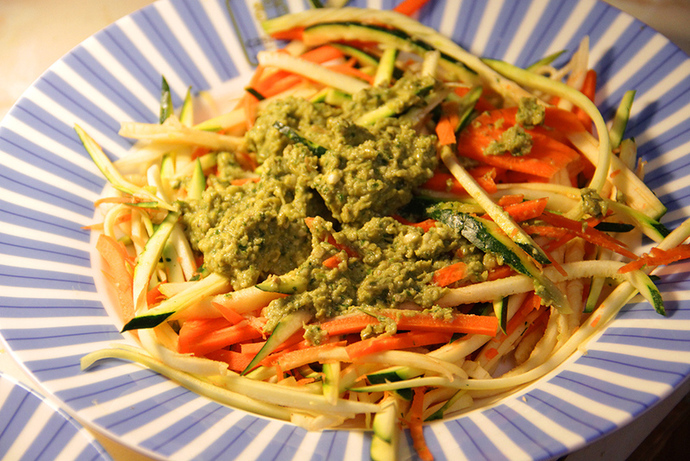 I stirred it through carrot and zucchini noodles at a recent dinner. Heat the oil in a frypan over high heat. Add the peas. 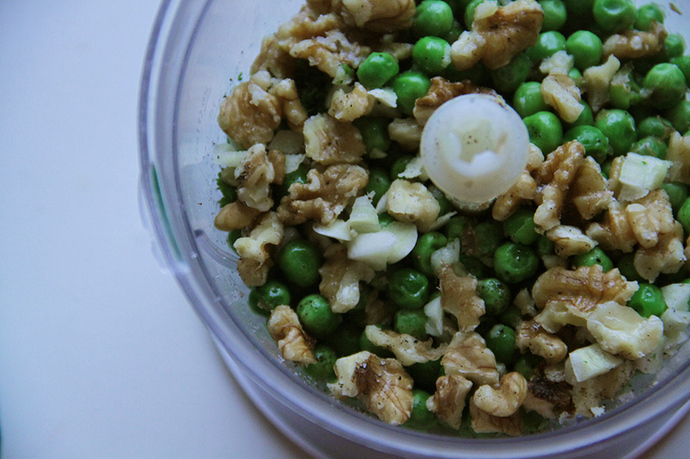 Once defrosted, place the peas in a blender. Chop the parsley and garlic. Add to the blender with the walnuts, lemon juice and water. Season with salt and pepper. Blend until you achieve a smooth consistency.